As defined by the United States Department of Health and Human Services, telehealth is “the use of electronic information and telecommunications technologies to support long-distance clinical health care, patient and professional health-related education, public health, and health administration.” Examples of telehealth in everyday life are online medical support groups, electronic health records, online doctor visits, online communication with health care providers, and remote monitoring of vital signs. 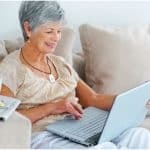 The rising use of telehealth is of great benefit to seniors, as it allows you to control many aspects of your medical care from the comfort and convenience of your own home. Below are some of the advantages to telehealth that are already happening, and we can expect to see more of in the future. Electronic Personal Health Records– Your personal health record is a collection of information about your health that is controlled and maintained by you. It’s a place for documenting your doctor visits, your medications, and the results from any paper test results you have taking up space in your desk drawer. At this point in time, some physicians are entering all of your patient data and test results into a personal health record for you. These records are accessible by any device with internet access. If you are a smart phone user, you will find several applications that will allow you to access everything with just the push of a button. Having this health information on hand can be invaluable to doctors who are treating you in an emergency situation. 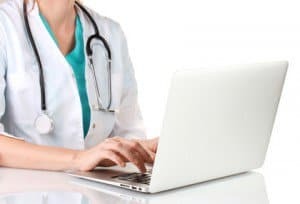 Online Doctor Visits– Online doctor visits are a wonderful option if you have a quick question or issue not requiring a physical examination. They usually involve you sending an email to your health care provider. The provider, in turn, may email you back with advice, recommend you come in for an appointment, or set up a video chat so you can discuss your options further. This is ideal for those who have a difficult time getting to the doctor due to distance or disability. 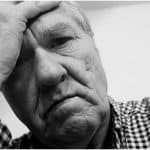 Home Health Monitoring– If you are someone who has to conduct regular medical checks on yourself at home, such as those for blood pressure or blood sugar, there is now a way to get the results to your physician quickly and easily. Many medical devices, such as blood pressure monitors, can be connected to the internet to transmit the readings directly to your doctor’s office. 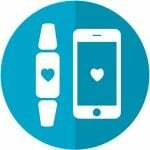 There are also wearable devices that can measure items such as your temperature, pulse, and blood pressure and sync the information to the internet wirelessly through Bluetooth technology.